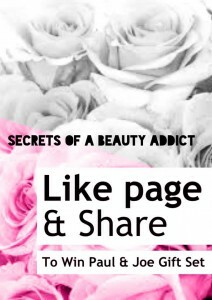 Like Facebook Page and Share Photo – To Win Paul & Joe Gift Set! Like my Facebook page and share picture to be in with a chance of winning a Paul and Joe gift set! Click ‘Like’ and then share the picture, it’s that simple, and you could win a Paul and Joe gift set! 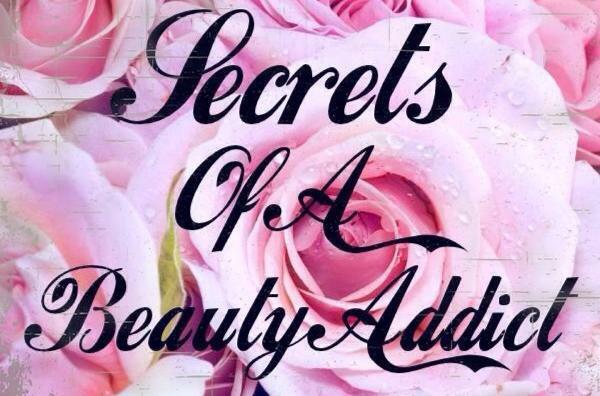 Click the link below to be taken to the Secrets Of A Beauty Addict Facebook Page. Previous Post: Burt's Bees Natural Anti-Blemish Solutions, Daily Moisturizing Lotion £14.99Next Post: Kylie, The Ultimate Pop Princess!